You don’t want to jump into anything blindly, and AI is no exception. Take some time to educate yourself, not only about what AI is, but also what it can do to help your business succeed. An easy way to get started is, you guessed it, on Trailhead. 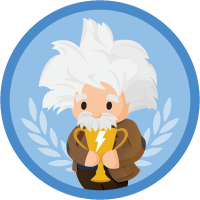 Check out the Sales Cloud Einstein Trailhead module. When you learn about the features included with Sales Cloud Einstein, how they work, and the value they provide, you’ll be able to prioritize which features to rollout to which users. Einstein Opportunity Scoring is a great feature to start with because it’s so quick to set up, easy for sales reps to adopt, and full of immediate value. For example, sales managers can flag opportunities with low scores to identify deals that are at risk. They can then provide coaching to those sales reps to help move those deals in the right direction. Being ready isn’t just about getting your team on board, although that is key to a successful rollout. It’s also about making sure your data is in tip-top shape. 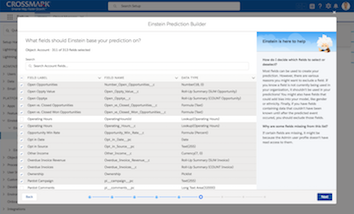 The data models behind Sales Cloud Einstein are based on your Salesforce data,, so having complete, accurate data helps Einstein give you the best predictions, recommendations, and insights. 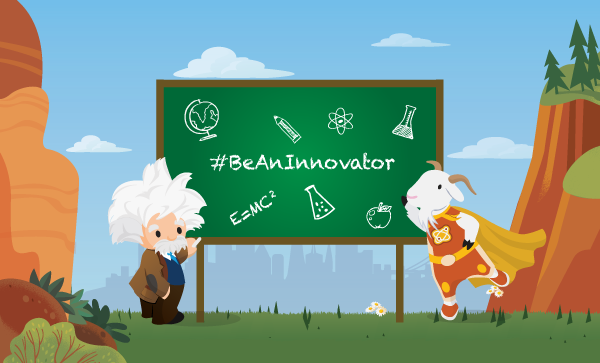 You can learn more about data quality best practices and strategies in this Trailhead module. You’ll also want to run the Sales Cloud Readiness Assessor. It helps Salesforce analyze your implementation to check whether your org meets the data requirements for each feature. If you don’t meet the requirements for a particular feature, the customized report tells you why and what you need to do. You can test Sales Cloud Einstein features in your sandbox. But because the data in sandbox environments is limited, don’t evaluate the performance of the Einstein model based on what you see in sandbox. Instead, test how the features work with your architecture, workflows, and Lightning components. Next, make sure any stakeholders are aligned about priorities and have defined goals for using Sales Cloud Einstein. For example, if your aim is to increase close rates, then Opportunity Scoring should be your priority since it helps reps focus on deals that are most likely to close. And don’t forget to decide how to measure success! You can track how Sales Cloud Einstein features are impacting your business by using standard reports, dashboards, and custom report types. 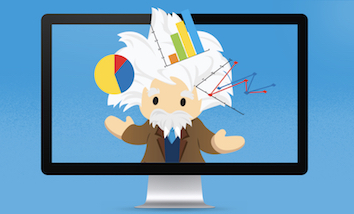 Sales Cloud Einstein includes access to more advanced analytics dashboards built on Einstein Analytics. Make sure you’re asking stakeholders what success looks like before you start, so when it comes time to build reports and dashboards, you already know what to build to show value. As for getting your sales teams ready for AI, take it slow. We recommend starting with a pilot group of users so that you can make adjustments as needed and maximize adoption. Ready to flip the switch? Use the Einstein Setup Assistant as your guide for assigning Sales Cloud Einstein to users and setting up features. There’s not much to it. 1. Decide who gets to use Sales Cloud Einstein. 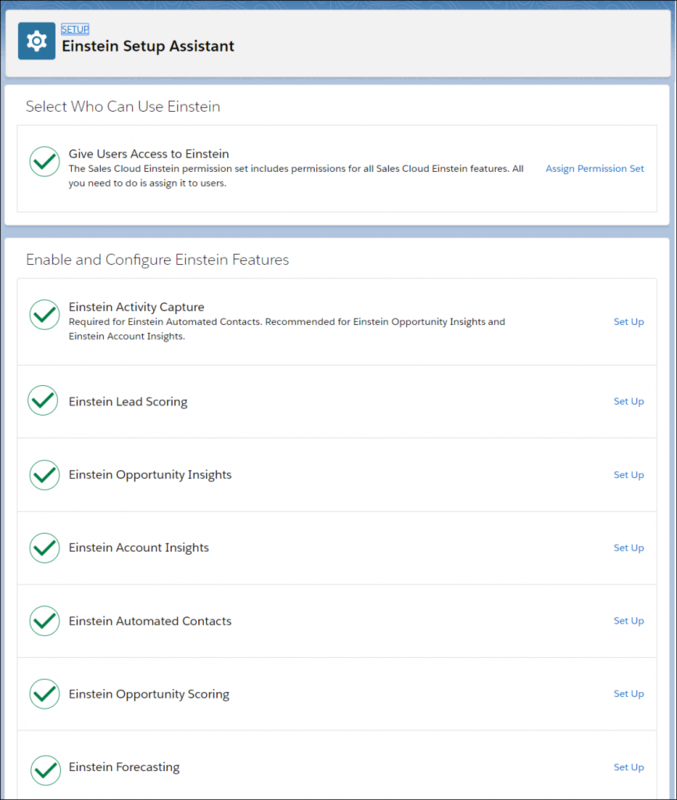 The Sales Cloud Einstein permission set is already created for you and includes all the permissions for Sales Cloud Einstein features. All you need to do is assign the permission set to users. Feel free to clone and modify the permission set so that you can control who has access to which features. 2. Turn on the features you want to use. I don’t mean to state the obvious here, but I don’t want you to forget this important step. Each feature is listed on the Einstein Setup Assistant with a link to where you need to go. 3. Update page layout, list views, etc. 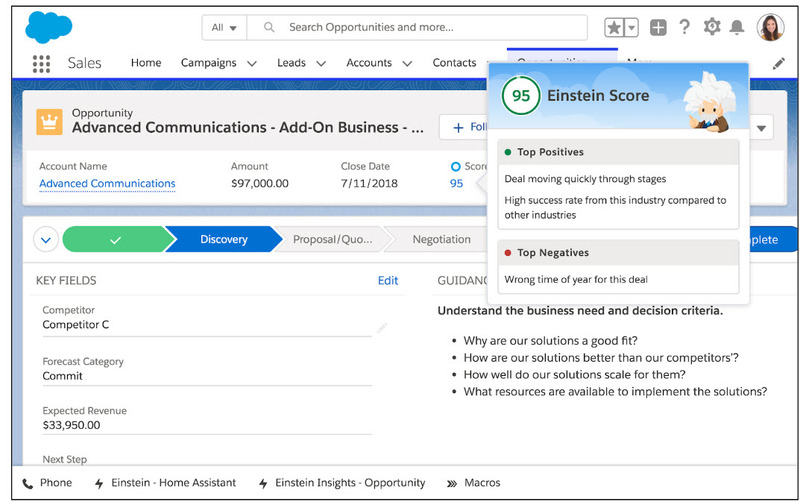 For example, if you use a custom page layout for opportunities, you’ll have to add the Opportunity Score field or Einstein Insights component to it. See? 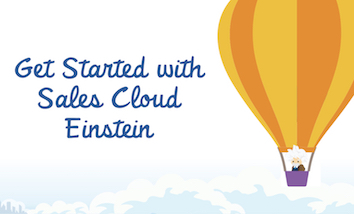 I told you getting started with Sales Cloud Einstein is simple when you break it down. How have you found success with Einstein in your org? Tell us about it in the comments below! And for more information and helpful links, check out the resources section below. 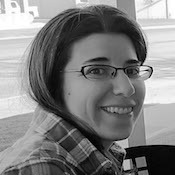 Jill is a technical writer at Salesforce where she does her best to write about Einstein in a gender-neutral way. In her spare time, she likes to knit (and purl), explain the infield fly rule to anyone who’ll listen, and read children’s books in funny voices.